DUBAI, 11th February, 2019 (WAM) – At a time when oil is still a very important ingredient for the UAE economy, Dubai sets an example of "Service-driven" and "Tourism-driven" economy. Jose Angel Gurria Trevino, the Secretary-General of the Organisation for Economic Co-operation and Development, OECD, says "Dubai is now mostly service-driven; tourism-driven at the time oil is still a very important ingredient for the economy of the country." Speaking to the Emirates News Agency, WAM, on the sidelines of the now-running World Government Summit, WGS, he said, "The emirate is a very vibrant and engaging place thanks to all these rapid developments occurring around us here, including world-class medical facilities; a lot of people are coming here for work. And a lot of tourists and shoppers. The country created a different world for those coming for work and visit and enjoy." On his evaluation of the WGS, the OECD chief said, "The World Government Summit delivers more than one single message. There is rather a number of messages. This Summit was specialising in government but now specialising in the government of the future; specialising in the government in the digital age. The question now is how to use technology to accelerate and leapfrog and in the same time avoid the more complicated and more challenging side of the use of technology." 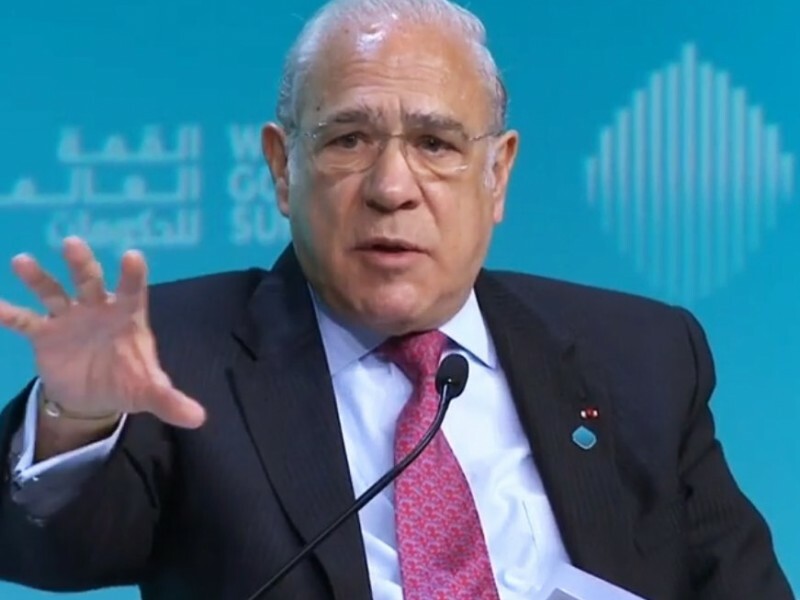 On why trade forecasts recently predicted slower economic growth rates with growth moderating after a period of recovery, the OECD chief, said, "Last May OECD projected the global economy would grow at about 4.00 per cent at 2019 and 2020. However last November we projected the growth to be at 3.5 per cent. Why this 0.5 per cent drop? Tension emerged in the world of trade, primarily between the US and China. "More paradoxically, as the oil prices fell down, the situation worsened. The dramatic thing about it is that this happened as we started the recovery period. The solution is so simple: avoid trade tensions," he continued. The OCED chief seemed skeptical about cryptocurrency. "It’s a crypto asset. This currency started at a value of $70 thousand and it is now $4 thousand only. There is a lot of speculations. At the end, they are speculative assets. They are not generally accepted and they are not regular. Frankly, I think in some cases you could keep some of them while making sure to protect investors and the public."